WeiboThe woman in the red coat is tis little boy’s future mother-in-law. Many couples hope for a sign that they’re meant to be together before getting married, and this couple got what they wished for. While picking photos for their May wedding, a young couple from Zhejiang, China, stumbled upon a familiar picture. Lu Yiquin, the wife-to-be, noticed a person in a red coat in the background of her soon-to-be-husband’s photo. The photos were both taken at the Giant Buddha statue at Ling Shan Mountain in Wuxi in 2000. 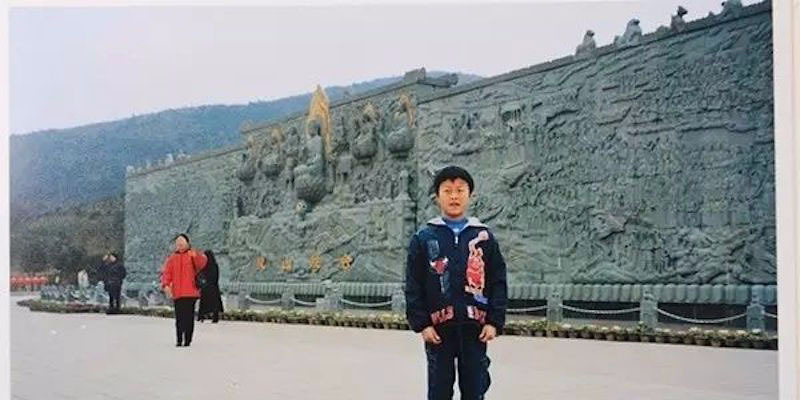 Zhang Hedong, Lu’s husband, visited the attraction when he was 14. 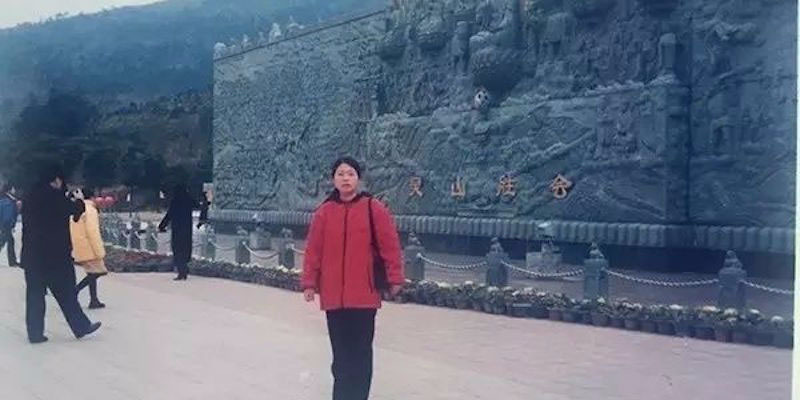 Lu’s mother confirmed that her family had visited the same location at the same time.